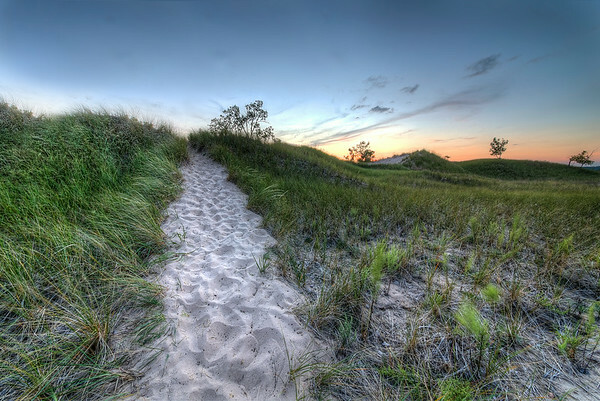 While the city of Muskegon is somewhat industrial along the lakefront near downtown, it is quite the opposite just a few miles north in Muskegon State Park. 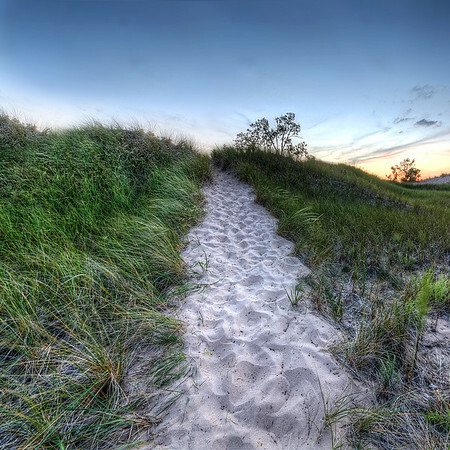 The park is a beautiful stretch of nature along Lake Michigan with dunes, sandy beaches, and two fantastic lighthouses sitting at the end of Muskegon's inner and outer break walls. 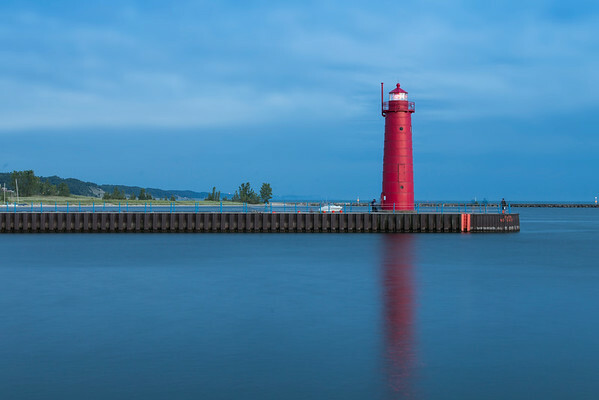 This gallery features images of both of Muskegon's lighthouses and many places along the lake shore in Muskegon State Park. 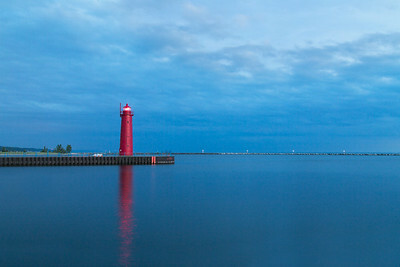 Fine art photography of Muskegon, Michigan. 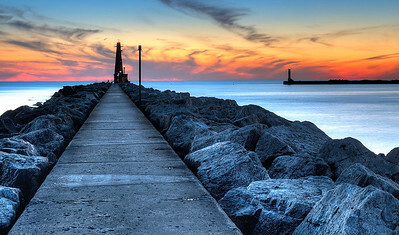 Sunset at the Muskegon South Breakwater Light in Muskegon, Michigan. 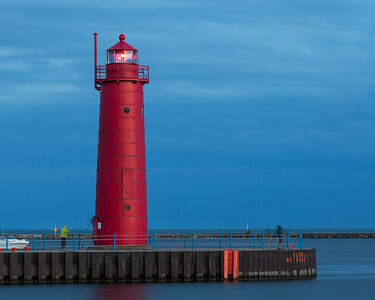 The Muskegon South Pierhead Light at dusk. 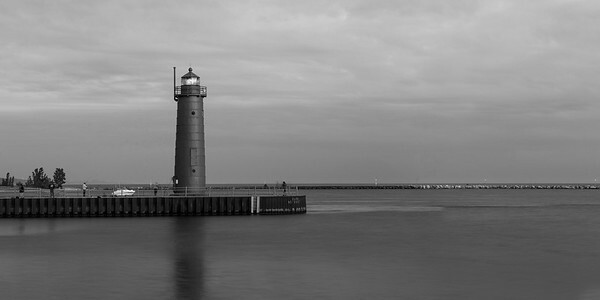 Muskegon, Michigan lighthouse and harbor. Beautiful Muskegon State Park just north of Muskegon, Michigan on Lake Michigan. 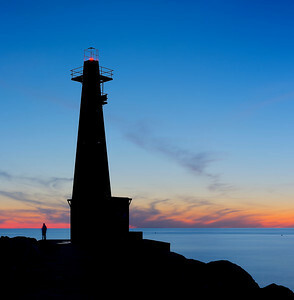 The shadow outline of the Muskegon South Breakwater Light at dusk. 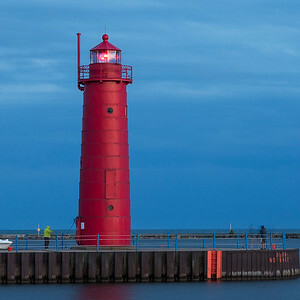 The South Pierhead Lighthouse in Muskegon, Michigan on a warm summer night. 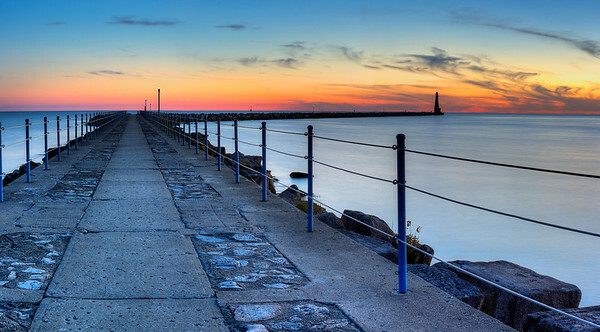 The sun sets over the south breakwater in Muskegon, Michigan on a summer night. 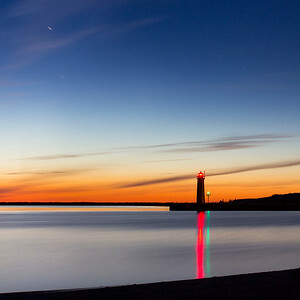 The South Pierhead Lighthouse and South Breakwater Lighthouse in Muskeon, Michigan bookend the entrance to the harbor on a summer night. 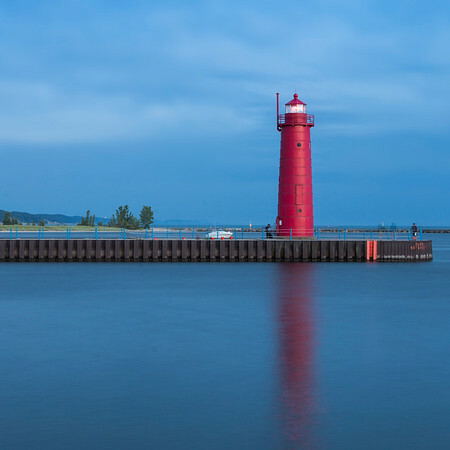 The South Breakwater in Muskegon, Michigan on a summer night. 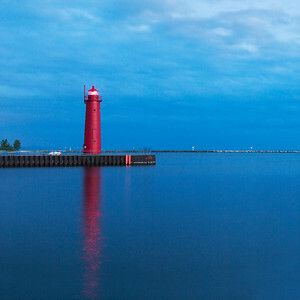 Muskegon, Michigan South Pierhead Lighthouse at dusk. 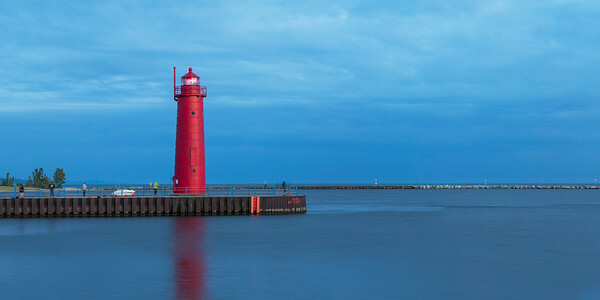 The Muskegon, Michigan South Pierhead Lighthouse looking over the harbor. Muskegon, Michigan lighthouse and pier on Lake Michigan.